Add side bags to your Yamaha Stryker. 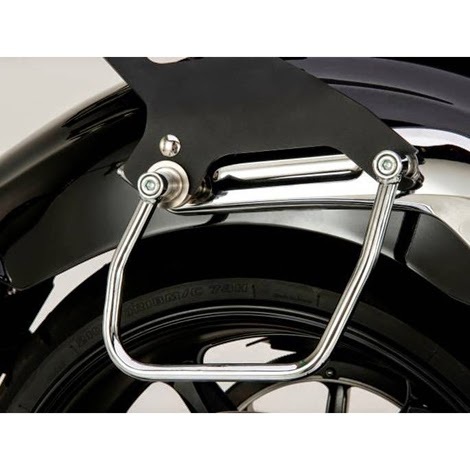 Stryker Saddlebag Support Bars are designed to help keep saddlebags off the fender and allow clearance for swingarm movement. Sold in pairs for both left and right sides. Bolts on to passenger backrest. 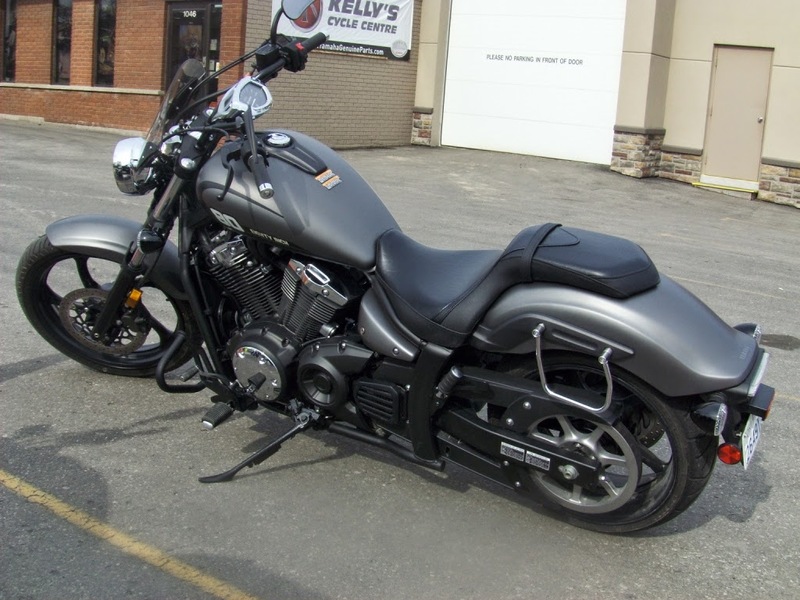 A Stryker Saddlebag Support Bar Hardware kit is required if installing the support bars on a motorcycle without a Passenger Backrest as in the photo below.